outstanding success, he was named a partner in 1989, and in 1992 Slama was added to the firm name. 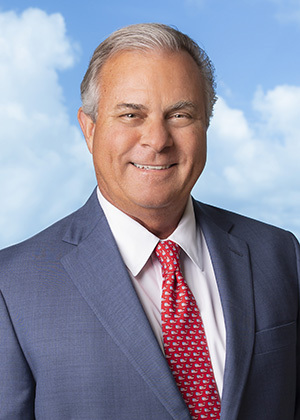 Joe has extensive expertise in aviation, product liability, maritime, cruise ship, recreational vehicle and vessel claims, scuba-diving accidents, roadway design, and other complex civil litigation and damages cases. Being a licensed pilot brings a wealth of expertise to Joe's litigation of general and commercial aviation claims, both domestic and international. Board-certified as a Civil Trial Lawyer by The Florida Bar, Joe has consistently received an AV rating from the Martindale-Hubbell Law Directory, the highest rating given by that publication. This peer review rating signified that a lawyer has reached the pinnacle of professional excellence and is recognized for the highest levels of skill and integrity. Joe has been selected for inclusion in the membership of Best Lawyers in America. He has been selected by his peers as one of the "Best of the Bar" by the South Florida Business Journal. Active within the legal community, Joe has served as president of the Broward County Trial Lawyers Association. He is also an active member of the Association of Trial Lawyers of America, the American Board of Trial Advocates, and the Academy of Florida Trial Lawyers. He has served as a guest lecturer to the American Bar Association, the Florida Board Certification Civil Trial Review, the Federal Bar Practice and Procedures Review, and at continuing education programs of the Academy of Florida Trial Lawyers. Joe is a member of the International Bar Associates, the Federal Bar Association, the American Bar Association, and the Broward County Bar Association. As a member of The Florida Bar, he is actively involved with its Aviation Section. Joe is also licensed to practice in Texas and numerous federal circuit and appellate courts. Community-minded, Joe is actively involved in several community and charitable organizations, including the United Way Alexis de Tocqueville Society and Leaders in Giving, and is on the Board of Trustees of Christ Church United Methodist Church, and the Board of Directors of the Shepherd's Way Homeless Ministry Foundation.